The newly minted CMT Music Award winner says he shares his mother's love of the country sound. Before he took home the trophy for Collaborative Video of the Year at the CMT Music Awards on Wednesday night, Justin Bieber professed his love for all things country on the red carpet. "I'm really glad to be here," he told CMT, with the guys of Rascal Flatts by his side. "It's great." It wasn't just an exciting night for him, but also for Mama Bieber, who happens to be a big country music aficionado. "It's great; it's so many people my mother admires, 'cause she loves country music, and I do too," he continued. "So it's really great to be here with Rascal Flatts." It was on the set for his winning video, "That Should Be Me," that Bieber first cut his hair. In the end, the sacrifice of his trademark locks seemed worth it. "Some of the fans liked it; some of the fans didn't. They were just upset he cut it," Bieber joked, nodding to Rascal Flatts' Gary LeVox. The video for "That Should Be Me," a Never Say Never - The Remixes track (which was a reworked version of the song that first appeared on My World 2.0) is a lo-fi, behind-the-scenes, "making of the video" performance clip. But it was good enough to beat out the likes of country music superstars like Jason Aldean with Kelly Clarkson; Kid Rock featuring Sheryl Crow; Loretta Lynn, Miranda Lambert and Sheryl Crow, as well as Aaron Lewis featuring George Jones and Charlie Daniels. "First of all, I just want to say how honored I am to be here ... with Rascal Flatts," Bieber said while accepting his first country award. "How amazing are Rascal Flatts, everybody? I want to thank my mom. I want to thank my family. And I want to thank Rascal Flatts for even jumping on the song with me." DISNEY starlet Selena Gomez has been admitted to hospital in the US after being taken ill on The Tonight Show. The star, 18, who is romantically linked with singer and actor Justin Bieber, 17, was taken from the studios to a Los Angeles hospital, where she is undergoing tests. According to reports, the Wizards of Waverly Place actress fell ill after her interview with host Jay Leno. The exact problem is still unknown, but sources at the studios revealed she left complaining of nausea and severe headaches. An NBC insider said: "We haven't heard what was wrong, she just suddenly came over unwell so she was taken to hospital. "She has been working very hard recently and doing incredibly long days. She may be suffering exhaustion." Earlier in the evening Selena told the chat host that Justin had recently been introduced to her mother, joking: "He passed the test." Justin Bieber has become the latest star to suffer the wrath of Eminem after the rapper described him as "evil" in his new song. The 8 Mile star is known for taking aim at celebrities in his lyrics, famously poking fun at Christina Aguilera, Britney Spears and Jessica Simpson in the past, while his new song A Kiss mocks Lady Gaga and brands her a "male lady". It has now emerged Bieber is also a target in the track, with Eminem branding the teenage pop singer "evil" and a "demon" in the song. Eminem raps, "Him (God) don't give a damn about Bieber, do Him?/What a demon, a behemoth, evil just seems to be seeping through him." But the hip-hop star's celebrity comments are not all negative - the lyrics reveal he is a big fan of pop star Katy Perry: "Aw hell Shady, he'll tell it like it is/So Katy Perry he's on her tail/He's tailgating." The song is part of Eminem's Bad Meets Evil side-project, a collaboration with rapper Royce Da 5'9". They didn't make it to the party, but they got the best favors. Newlyweds Miranda Lambert and Blake Shelton won a pair of trophies and Taylor Swift was honored for video of the year at the CMT Music Awards on Wednesday night in Nashville. None of the top winners was on hand to accept in person, although Swift -- who is on tour -- appeared via satellite to express her thanks for her award for her "Mine" video. Justin Bieber got the collaborative video award for "That Should Be Me" with Rascal Flatts, while Lady Antebellum picked up the group video award for "Hello World" and Sugarland was named for best duo video for "Stuck Like Glue." FROM Posh’s tweet, below, we can safely assume that Justin Bieber has successfully infiltrated Camp Beckham. London, June. 8 -- Teen pop sensation Justin Bieber will perform at a charity show to raise money for College Track, an after-school programme that helps students apply for further education. The move has won Bieber praise from a number of celebrity fans. "Hey Justin Bieber proud that you are playing a show for College Track. Good on you (sic)," actor Ashton Kutcher posted on microblogging site Twitter. Rapper MC Hammer added: "Thanks for supporting College Track... You donated your time, talent and heart." The show will take place at the Mountain Winery venue in Saratoga, California, June 11. Tickets range between $250 to $1,500, reports contactmusic.com. 'It's going to be crazy,' Bieber promises at MTV Movie Awards. It seems that things are well under way for the basketball movie starring Mark Wahlberg and Justin Bieber. How do we know? Well, the guys themselves updated us this weekend at two of the biggest events of the summer. Wahlberg told MTV News on Saturday night at Spike's Guys Choice Awards that while he thought he'd be playing Bieber's part initially, he eventually came around to playing the "old guy" role. "I'm like, 'For what?' " he further recalled. "They're like, 'For the young guy.' 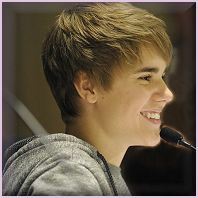 "
The next day, at the MTV Movie Awards, Justin Bieber seemed equally excited about the project, if not a bit tight-lipped. "I know ," he promised. "You'll have to see. I can't really reveal too much about it." According to previous reports, Wahlberg has been keeping tabs on the young star. "He loves the idea," Wahlberg said last month. "He's been sending me video, he sent me a video of himself, and, yeah, I think he's really talented." The idea was sparked after Wahlberg and partner Stephen Levinson caught Bieber playing basketball in February during a celebrity game held during NBA All-Star Game weekend. The pop star was asked to choose between the popular vampire saga and the equally popular Harry Potter series, but struggled to make up his mind. Justin, whose movie Never Say Never won Best Jaw-dropping Moment at the MTV Movie Awards last night, had to think hard before choosing Twilight. The teen heartthrob also revealed that it felt amazing to share the moment that bagged him the award in his 3D movie. Never Say Never follows the pop star’s journey to the top and shows some breath-taking scenes of the 17-year-old performing. IN recent pictures of JUSTIN BIEBER with his top off, the teen singer wasn't exactly displaying huge guns and a six-pack. But according to one of his gym buddies he's deceptively strong. Tyrell Ogloff trained with Bieber at his local gym when the singer visited his home town of Stratford, Ontario, in Canada. He said: "Justin was definitely on a mission to pump up. "He's pretty small but can pump a lot. "He benched 120 pounds for his chest and did about 400 crunches and sit-ups to build his core. He's in really good shape." LOOKS like Justin Bieber has found a new way to get a bit of peace from his adoring fans - a mini moto. The teen heartthrob, who usually sticks to skateboards, has asked fans to respect his privacy while he's visiting his family in Canada. He tweeted: "I love my fans with all my heart but there will be times when I want privacy, when I want to be a big brother, or a son, or a grandson. It isn't about me. It's about my friends and family. I want that time." JUSTIN BIEBER fancies himself as a footballer. The chart sensation played with Stratford City in Canada on Friday night watched by girlfriend Selena Gomez. But he went off with an injury five minutes into the second half. DOH! The pint-sized singer watched his team go on to win 1-0. Selena, scoffing a Big Mac, couldn't stop laughing. 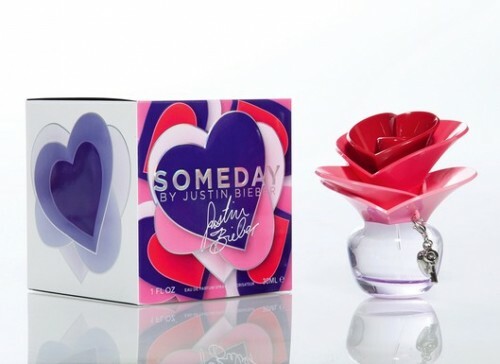 Seeing so much success with his initial venture into the scent market, Justin Bieber is ready to help the ladies smell just right, as well. 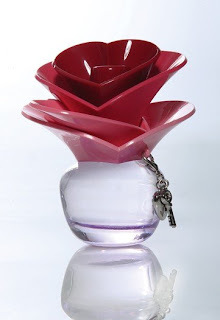 The "Never Say Never" star went all out for the gals' perfume, as it comes in a heart-shaped flower of a top to the removable charms hanging from the neck. According to WWD, Bieber's new perfume is called Someday - while the concoction was created by Honorine Blanc of Firmenich, which described the offering as a “fruity gourmand” formula. Chiming in on his latest venture while touring the world, Justin said, “Let’s be real, the way a girl smells is very important to a guy! I have such a deep connection with my fans, so creating a fragrance that I personally love is another way I can bring them closer to my world." 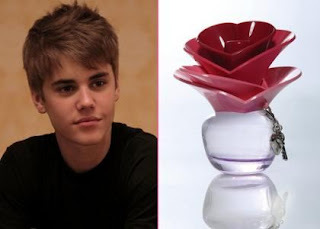 Continuing on about working with Honorine Blanc of Firmenich on the ladies fragrance, Bieber dished, “They really let me take the lead on the entire project, because I know my fans better than anyone — from working with the team on the development of the fragrance itself to helping to design the bottle and packaging." Set to ship to select stores in June, the fragrance will be offered as an eau de parfum spray ranging in price from $35 for a 1 oz. size to $45 for the 1.7 oz. version to $55 for 3.4 oz.